Click on any song title below to play it on Spotify. The full 66-song playlist can be found on both Spotify and Apple Music. Dusty Springfield, “Son of a Preacher Man” (Atlantic, 1969): Whether she was singing Bacharach-David, Goffin-King, or a translated Italian ballad, Dusty Springfield (given name: Mary O’Brien) brought a smoldering undercurrent of longing and melancholy to her performances. Her soulfulness was so natural that R&B-steeped Atlantic snapped up the English singer and dispatched her to a bona fide soul-music hotbed to record Dusty in Memphis. Surrounded by the seasoned players who’d laid down the deep-gut grooves for Aretha Franklin and Otis Redding, and working with the same producers in Jerry Wexler and Tom Dowd, Springfield turns the coarse fabric of this down-home strut into raw silk. Her vocal on this song, originally intended for Franklin to sing, is the breathy, restrained flip side of Aretha’s hotwired bravado, but every bit as scintillating—a cool breeze fluttering against the heat and humidity of The Sweet Inspirations’ backing vocals. “How can I call myself a soul singer when I hear people like Aretha Franklin and Martha Reeves sing?” this perfectionist once asked. “God, I wish I had been born black.” But Springfield’s soulfulness had a color all its own. Edwin Starr, “War” (Gordy, 1970): Vietnam was a white man’s war, but it was fought by more black men than any other ethnic group, and the first antiwar R&B song to top the charts was written and sung by African-Americans and released on black-owned Motown. 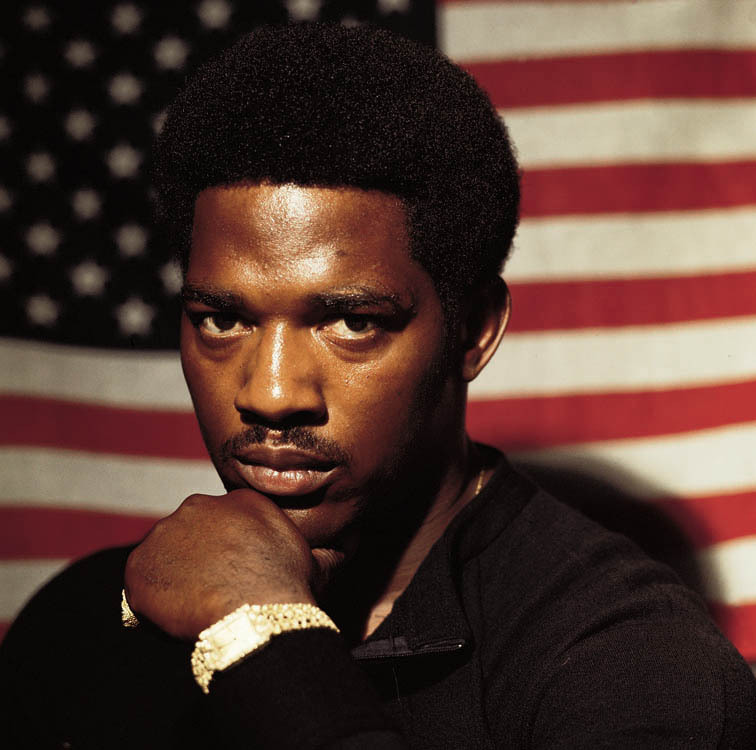 Originally recorded by The Temptations, “War” was given to Edwin Starr to cut as a single, and he seized the moment like a bear grabbing onto a honeycomb. Plowing through the soulfully psychedelic arrangement with the unstoppable force of a tank through the jungle, Starr’s gruff, muscular baritone turns more ferocious with each round of a raging call-and-response. A chorus of male and female voices shouts, “War!” and Starr emotes, “Good God, y’all” in the moment before they continue, “What is it good for?” He answers savagely, “Absolutely nothin’!” He doesn’t even have to mention Vietnam to make his point bluntly apparent. Bruce Springsteen started playing “War” during the last days of the Cold War in the ’80s, and he brought it back with a vengeance after the U.S. invaded Iraq in 2003. 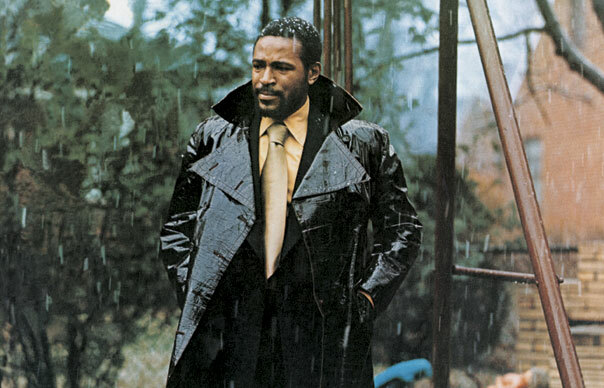 Marvin Gaye, “What’s Going On” (Tamla, 1971): Worried sick about his kid brother, a G.I. under fire in Vietnam, and devastated by the loss of his duet partner Tammi Terrell, who’d died after a three-year battle with a brain tumor, Marvin Gaye had a lot on his mind and an aching need to express it. 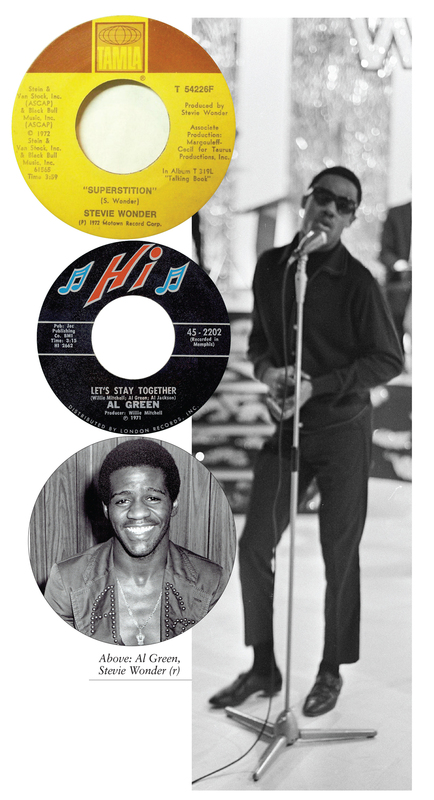 Given the framework of this song by a couple of fellow Motown staffers, he shaped it into the most personal expression of his remarkable career and headed right into Hitsville to cut it with Motown’s brilliant house band, The Funk Brothers. Urged along by a heartbeat rhythm, the intertwined swirl of strings, backing vocals and a yearning sax, Marvin’s pliant tenor rises up like a voice in the wilderness, even as he walks the city streets, chatter all around him. With the eye of a photojournalist, he captures the agitation of “picket lines and picket signs,” before forcing himself into the crowd to plead, “You know we’ve got to find a way/to bring some lovin’ here today.” The What’s Going On album was as unprecedented as the title song, yielding two more Top 10 hits that addressed pressing issues: the environmental cry “Mercy Mercy Me (The Ecology)” and “Inner City Blues (Make Me Wanna Holler),” a snapshot of the world from the bottom up. Stevie Wonder, “Superstition” (Tamla, 1972): Marvin Gaye’s triumph over the Motown machine inspired Stevie Wonder to take creative control of his own music. A new contract in hand, he was free to make the music of his mind without interference. Stevie unleashed his powers on a string of albums so mind-blowingly brilliant that each one raised the bar for every rock, soul or jazz musician out there. “Superstition,” from the top-to-bottom jaw-dropper Talking Book, is the hardest groove Stevie ever cut, no doubt because he cooked up the track from the bottom up on his drum kit. By this point in his career, songs were coming to Stevie so fast that he was going to give this one away to Jeff Beck, but Motown heard a hit and convinced him to keep it for himself. Good thinking—it became his first #1 in 10 years.